Omaha eight or better high-low split (Omaha/8 for short) is a form of poker that continues to grow in popularity -- surpassing every other form of poker except Texas hold'em. Omaha/8 has much in common with Texas hold'em, but there are significant differences too. As a result, better players stand to make a significant profit in the game. While dozens of books have been written about Texas hold'em during the past two decades, precious few have been written about Omaha/8. This book is an update to the hugely popular and successful "Winning Omaha/8." There are new chapters covering material that has never been discussed in any form of poker literature and the previous material has been made current to keep up with the game's latest developments. 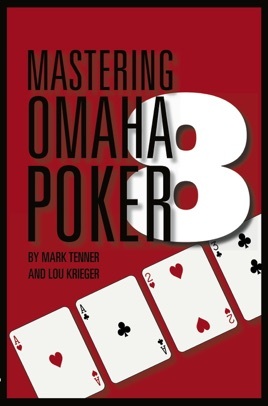 "Mastering Omaha8," which is both a reference and a tutorial, is a much needed and useful tool for poker players interested in improving their Omaha/8 game. I found the book very informative , I've played hold em for years and I'm just now learning Omaha. The starting hands section and also the criteria to raise on each street has been very helpful. I would call this book an excellent read.